To Do Lists are only a tool. The real secret lies elsewhere. Yesterday I had one of those fantastically productive days. You know the ones where the hours seem to go by slowly enough to allow you to achieve more than you’d thought you possibly could? The ones where you have masses of energy and can just keep going? And at the end of the day you list all the things you’ve done and can’t quite believe it? I was a decorating demon, managing to do a bunch of jobs I’ve been meaning to get around to for months – repainting doors, walls and ceilings, and touching up paintwork, plus a bit of reorganisation in my utility room. And it was good enough for me to want to write about it. So it got me asking myself, what’s the secret to great productivity? The bad news is that honestly, I’m not sure there is just one answer. I’m not sure there is a magic formula, or a particular organisational technique that makes you more productive. What works for one person doesn’t necessarily work for everyone. I can’t write down a precise list of rules that will make you able to achieve what I did if you follow them exactly. But what I can do is exactly what a coach should do. Ask the questions that will help me reproduce those conditions again so that I can reach Level: AWESOME more often. How was yesterday different from the times I don’t achieve so much? What did I do to make that difference? These are questions that sports coaches and sports psychologists ask after a particularly great performance – they want the athlete to be able to recreate that performance by understanding what they did. And the good news is that the answers I came up with might be applicable to anyone….. This is key. I focused on the task in hand, not the million other tasks that I know I still need to do. I decided that on this day, I would concentrate on the decorating bits and pieces that needed to be done, and leave the worrying about the laundry, gardening, website work, marketing work, ironing, blogging, party planning and all the-plethora-of-stuff-that-needs-doing for another day. 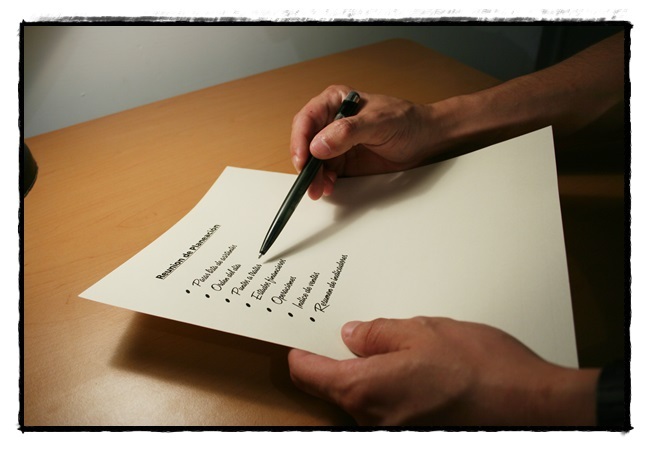 To Do Lists are endless if you allow them to be, particularly when it comes to household chores (as soon as you clean the kitchen, it’s dirty again), so if you must make a To Do List for your day, make it a list of things you can actually achieve in that day. Breaking things down into small, manageable pieces makes a huge difference. Instead of thinking of perfecting the entire study, I concentrated on painting the one little piece that needed doing, and then moved on to the next task. This has an important psychological effect: if you consider something a big task, then a) you’re more likely to procrastinate because it feels like a big effort to get it done, and b) even if it doesn’t actually take very long, at the end you’ll feel like you’ve done a big task and won’t have as much energy left to get other things done. If you’re going to get something done, you may as well enjoy it. And the first step to doing it is to go in with a positive attitude towards it. I don’t mind decorating, but I’m not sure I’d go quite as far as to say I love it. It’s still probably in the realm of chores for me. But focusing on the reward at the end is what makes it enjoyable. I told myself a million times yesterday that it (whatever thing I was decorating or reorganising) was going to look great/so much better than before, and I allowed myself lots of opportunities to stand back and consider how fantastic the end result would be. In my experience, doing chore-like tasks is much easier and quicker if you can find a way to be positive about them. If you’re doing a task, then that is worthy of praise, no matter how small it is or how much you hate doing it. In fact, if you hate it, then it’s even more worthy of praise. Say to yourself ‘look what I’ve achieved!’ Tell yourself how much better things are now you have completed that task (presumably they are better, otherwise you wouldn’t have bothered doing it!). If you can get your partner/kids/friends/family to join in with the congratulatory high fives then all the better. Giving yourself a pat on the back will help you feel more positive about doing the next task. Enjoy the sense of achievement– revel in it!! At the end of the day, list what you’ve got done, and really take some time enjoy the sense of achievement. Note how it feels (good, presumably – a sense of achievement usually does) and promise yourself that you’re going to make yourself feel this way again. Remember that sense of achievement when you have another day when you could do with being productive. Secret formula after all? Well, perhaps. For me, productivity level: AWESOME can be achieved by mindset and attitude rather than organisational rules and planning and techniques and special To Do Lists. Planning or techniques or lists work really well in conjunction with the right attitude, but without the attitude, those techniques and lists fall on their backsides. Make the attitude a habit, and you might be on to a total winner: better productivity for life.